Autumn is here, and across the United States, leaves have begun to change! If you’re a photographer, a nature lover, or just enjoy the sights, sounds and smells of a beautiful autumn environment, then plan your next day trip around this fall foliage prediction map and visit your favorite scenic destination at the “peak” of the local foliage’s vibrancy! Visit smokeymountains.com and click on the “Fall Foliage Prediction Map” link to see where leaves are changing in your area and across the country, and to find out more about why leaves change their color! It’s official, and backed up by the Washington Post, that Minnesota is named the absolute best place to grow up in America! A couple days ago the Washington Post posted a story on the best place to grow up in the entire country. Who came in 1st? Minnesota did, and it’s proven fact by The Casey Foundation, who works towards solutions for communities, families and children. The ranking found that Minnesota has been on an upward trajectory for a few years over any other state for being the best state to raise a child. We were 6th overall in 2012, and are now 1st in 2016. See it for yourself! The post also shows a map of the US and a concerning divide across the state from north-to-south regarding child well-being. There’s a distinct dividing line from best to worst, and Minnesota also ranks at the top in that as well. So be proud of the great state of Minnesota and take pride in everything this land of 10,000 lakes has to offer. State Parks are plentiful in Minnesota. Whether you want to hike, bike or take in a bit of nature, there are more than 75 to choose from. But I wanted to know which one you like best. WCCO viewers voted, and, with a half a million visitors each year, it’s no surprise that your winner is one of the most-visited state parks: Gooseberry Falls. NORTH SHORE, Minn. (WCCO) — State Parks are plentiful in Minnesota. Whether you want to hike, bike or take in a bit of nature, there are more than 75 to choose from. But WCCO’s Natalie Nyhus wanted to know which one you like best. WCCO viewers voted, and, with a half a million visitors each year, it’s no surprise that the winner is one of the most-visited state parks: Gooseberry Falls. The rocky Lake Superior shoreline and five waterfalls highlight Gooseberry Falls’ landscape. But this state park offers so much more than just a pretty view. If you open up, there’s an experience for all five of your senses. “Obviously you can see the falls. They are gorgeous to look at. They are very pretty, but one of the things I focus on when walking through the trails is my sense of hearing, listening in for the roar of the waterfalls going over the edge, the bird sounds out in the woods,” seasonal naturalist Abe Hartsell said. He taught Natalie that a sniff of the air will let you know what’s in season. And mother nature didn’t forget about your sense of taste. “We have raspberries, blueberries, thimbleberries, juneberries. All are edible,” park ranger Nick Hoffmann said. Gooseberry Falls will also appeal to your sense of curiosity. It’s a unique combination of geology and human history. “Where we are standing right now is by the remains of the old Civilian Conservation Corp Camp. This camp was here during the 1930s. They started in 1933 and stayed until 1941,” Hartsell said. The CCC was a program set up by Franklin Delano Roosevelt during the Great Depression to get people back to work. There were 200 boys and men living and working at Gooseberry, building it to be what it is today, giving us the state park you voted best of Minnesota. It’s up in these areas, where you can discover just how massive this 1,500 acre park is. “A lot of people come to the falls. This particular spot where we are at with this overlook doesn’t get quite as many people. If you want to get away for some peaceful silence, this is the place to come,” Hoffmann said. So after you explore the falls and capture your moment in front of the roaring waters, trek a little deeper and you’ll discover there’s even more. “Opening your senses and walking through the woods is a wonderful part of being here,” Hartsell said. Hoffmann shared a tip for visitors: If you come before 11 a.m. or after 4 p.m., parking will be much easier, and the park will be less busy. And don’t forget that the park is open year-round, the winter offering cross-country skiing, snowshoeing and ice climbing. Your other favorite parks are Jay Cooke State Park and Whitewater State Park. Construction progress of the U.S. Bank Stadium (new Minnesota Vikings stadium), as seen from the Haaf Ramp in Downtown East, Minneapolis, Minnesota, on 3 December 2015. The newest addition to the Minneapolis skyline is an enormous, angular blue building carving a wedge into the space once occupied by the Metrodome’s billowy roof. Its street address is 900 South 5th Street, but you shouldn’t have to look very hard to find it. US Bank Stadium is a massive and imposing structure that’s very hard to miss, and is clearly visible to anyone approaching from I-35W and I-94. Construction began in December of 2013 and the building opened to the public on July 22, 2016. It can seat 66,200 people for most events, but it will be expanded to seat 73,000 for special events such as Super Bowl LII in February of 2018. In the meantime, a wide variety of events are already scheduled for the near future: A.C. Milan will take on Chelsea F.C in the stadium’s first event ever on August 3rd. On August 19th, country singer Luke Bryan will host the first concert at the new venue. If country isn’t your style, however, the heavy metal legends of Metallica will be performing the following Saturday on August 20th. You can watch a live stream and a time lapse of the stadium’s construction here. 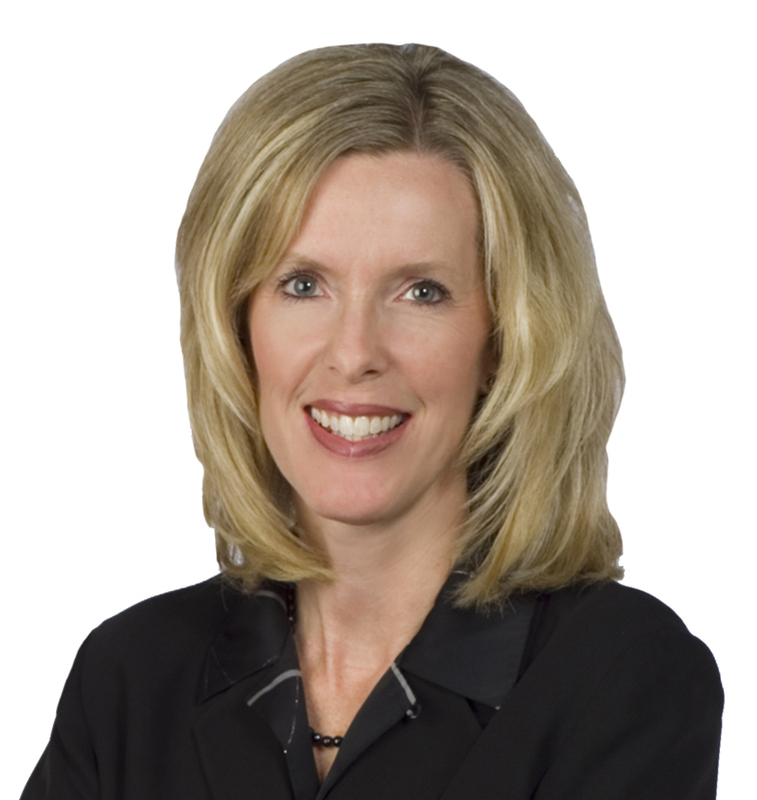 This article originally appeared on the CBS Minnesota website and was written by Linda Cameron. It can be viewed in its entirety here. In Minnesota, the famous Highway 61 stretches from the city of Wyoming to New Orleans. But driving to New Orleans can feel like a trip in a Conestoga wagon if doing rest stops far from the Twin Cities. A single-day destination closer to Minneapolis-St. Paul puts less strain on your gas budget. During your local travels, you may have passed through these towns and cities. Consider returning for a leisurely tour if you have time. These Minnesota destinations don’t require multiple gas station stops, since they’re no more than a three-hour drive. After seeing the sights and main attractions, you might be tempted to double back for a return trip. A drive to Redwing takes up to one hour from Minneapolis or St. Paul, assuming little or no traffic. A scenic town on the Mississippi River, Redwing attracts artists and photographers, who come to capture images of the river, its shoreline, and the natural wonders around Lake Pepin. Redwing has small art galleries, museums of modern art, a performing arts theater, a few stately historic homes, and an antique pottery museum that remains a tourist attraction. The town has 38 community and neighborhood parks. These parks have nearly every outdoor amenity you can think of: hiking and bike trails, an aquatic center, playgrounds, athletic fields, softball, outdoor basketball and more. Downtown Redwing is developing and welcomes new businesses. Interested business owners can download the Retail Challenge Packet. What attracts many visitors to Northfield is the re-enactment of “The Great Northfield Minnesota Raid.” Made into several movies, including one by German filmmaker Fritz Lang, it chronicles the ill-fated attempt of the James and Younger gang to rob the Northfield First National Bank. The intervention of the city’s outraged citizenry put a dent in the gang’s outlaw career. To get an idea of what these varmints probably ate and drank while on the lam, grab a bite at the James Gang Coffeehouse. It’s a peaceable café and eatery where deep brooding coffee brews, sandwiches, wraps, salads and breakfast come together. The James brothers might have rustled up paninis and egg avocado sandwiches without baked beans. You can learn more about the history of Northfield and the facts behind the Northfield Minnesota Raid at the Northfield Historical Society. In the winter, skaters pack into the popular Northfield Ice Arena. One might assume Little Canada is a few minutes from the Canadian border. But the nearest Canadian city is Thunder Bay in Ontario, 334.9 miles away. It’s at least a 6:3-hour drive to Little Canada’s sister city. Located in Ramsey County, Little Canada is an inner ring suburb of the Twin Cities. It’s a 17 to 18-minute drive from Minneapolis. From St. Paul, driving takes 11 to 13 minutes. Little Canada has its own restaurants and proximity to metro and suburban shopping centers. HOM Furniture is one of the largest furniture retailers in the Upper Midwestern states. Porterhouse Steak and Seafood and Taste of Scandinavia Bakery & Café are highly recommended dining places. Little Canada commemorates Canadian history and its early French-Canadian settlers with special community events. Not to be missed is the annual Canadian Days Festival, celebrated like Mardi Gras with sister city Thunder Bay. This all-inclusive community fest first began in 1976 as a bicentennial. Why visit Winona? Because this city is full of natural outdoor beauty and old world charm to be forever remembered. Winona is also culturally rich. This small city rivets with outdoor concerts, live theater, classical and pop music, and plenty of film festivals. Downtown Winona has eclectic one-of-a-kind cafes and family restaurants. It also has a large number of national and small retailers, fashionable and quaint boutiques, artful antiques and gift stores. Winona is a 2.5-hour drive from Minneapolis. Known as the bed and breakfast capital of Minnesota, Lanesboro thrives with arts, culture and tourism. The inns and restaurants here are cozy and delightful. A major attraction is the city’s small Amish community. Founded in the mid-1800s, this historic community continues the traditions of early Amish settlers. Lancaster, PA has one of the largest Amish populations. But Minnesota has 14 Amish settlements. Touring the settlements around Lanesboro is a fascinating experience. Lanesboro is a two-hour drive from Minneapolis. This article originally appeared on Only In Your State on May 24, 2016. It was written by Jo Magliocco and can be read in its original context here. It’s that time of year again! The temps are starting to soar in Minnesota, and we can’t wait to get into the water to cool off. And when it comes to water, the best way to enjoy it, aside from our thousands of lakes, is obviously at our waterparks! From slides to wave pools, these 7 always make a splash. 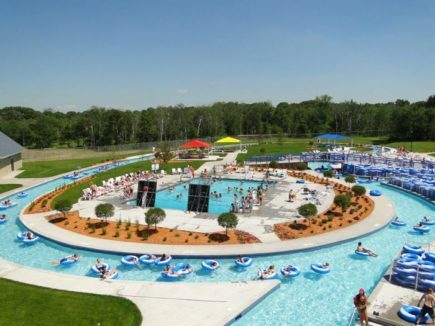 Minnesota’s largest outdoor waterpark is built for fun with 6 amazing waterslides, a lazy river, wave pool, and plenty of play areas for the little ones. It’s super affordable and you’ll never be bored! This Eagan Waterpark has slides, a lazy river, a beach, and even mini golf to keep you entertained. Get ready for a wild time! 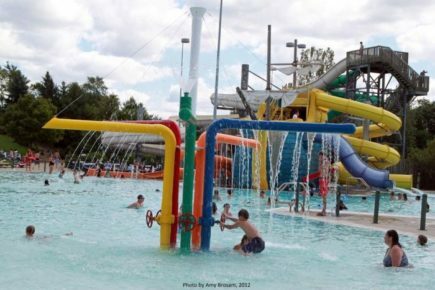 This waterpark features 4 epic slides, a lazy river, and a kiddie park for plenty of fun. You can also try the alpine slides and go-karts in the summer. Valleyfair’s waterpark is full of awesome rides and a massive wave pool. Combine that with all their epic coasters and summer just got way better! 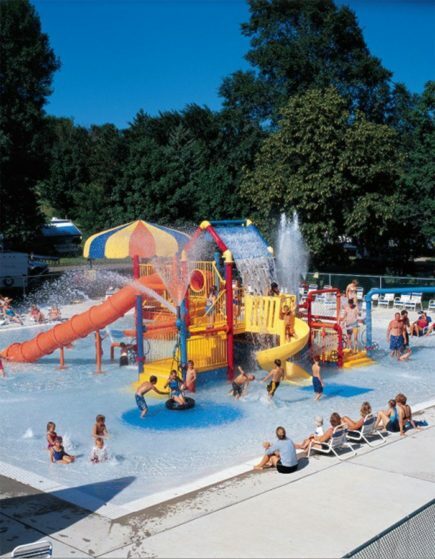 Slides, geysers, pools and more await you at this community waterpark in Waseca. 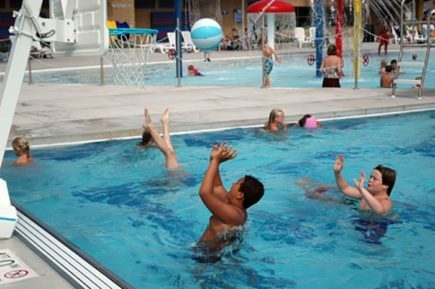 It’s only $5 to get in, and there is plenty of room for the kids to play and the adults to lounge from 12-7pm all summer long. With 2 pools and this awesome play area, this campground is clearly the best in the state. You can also stay in their cabins if you want to enjoy the waterpark, without the camping! This state of the art waterpark features a lazy river, diving areas, climbing walls, and even room for the adults to swim laps! Every so often, Minnesota’s night sky is painted green by the Aurora Borealis, better known as the”northern lights”. It’s not always enough to be in the right place if you want to see the Aurora Borealis, however. You’ll also want to check the forecasts: not just the normal weather predictions, but also space weather. That’s right: space weather! Plan to be outside and facing north on a clear and cloudless night sometime after the sun has set. Then, check the space weather forecast using the NOAA’s space weather prediction center, which lists forecasts for the probability of a visible Aurora. Like weather forecasts, space weather predictions are not always correct. Sometimes you just won’t see anything, even from the right place on a clear night with lots of solar activity. But don’t get discouraged! Peak Aurora activity runs from October to April and continues year-round to give you plenty of chances to spot one of Minnesota’s natural wonders.